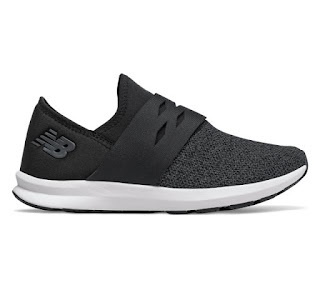 Today ONLY (2/), Women's New Balance FuelCore Spark Cross Training Shoes $27.99 (Retail $64.99). The all-new FuelCore Spark for women helps inject athletic-inspired style into your modern everyday look. The sleek, slip-on upper with thoughtful design details helps create the street-worthy aesthetic. REVlite midsole cushioning gives a lightweight fit to this fashion silhouette which features a cool cut-out strap across the instep and a unique collar design. A Memory Sole insert helps provides all-day comfort.